So, with my request for votes…which, by the way is completely for fun…the Posh Tots judges really make the deciding factor…I decided to put myself to a test. Do a design board in less then five minutes…I used mostly Posh Tots available items and then threw in a few other pieces I like. Enjoy! 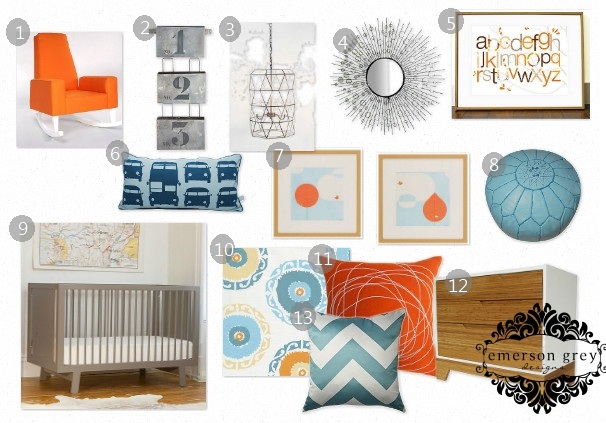 I love the blue and orange color palette…such a cute room!